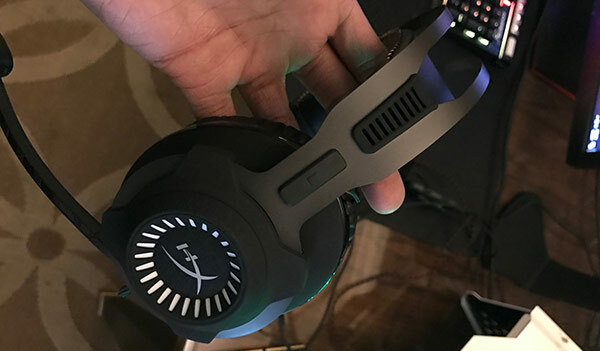 Gaming definitely has its place in CES and some of the gaming headphones coming out this year are aggressively competing for the space in your living room. 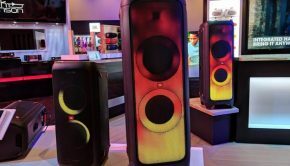 We got a chance to check out a few at CES 17 and here are some that stood out. Lucid Sound hasn’t even been around for a year but is making big moves with their veteran team. I got to check out a bit of the LS30 and LS40‘s and came out impressed. The LS40‘s sport DTS:X and both have 50mm drivers, they have a lifestyle audio mentality and stress it’s not only for gamers. 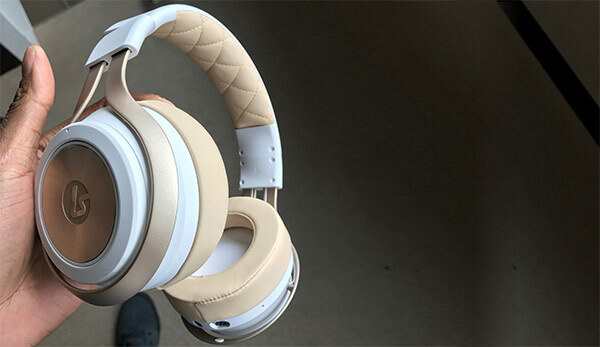 We’ll be giving a full review on some of their headphones soon! PDP showed off a number of headphones and accessories but more notably was the Legendary Collection Sound of Justice headphones. 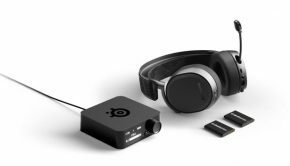 These headphones boast a powerful 50mm driver and noise and echo canceling technology. 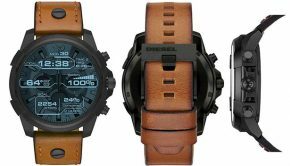 Reasonable price point and out now if you’re looking to step up your game. Plantronics is no rookie to the game and they know headphones. There standout for gaming is definitely the RIG 800HS for PS4 giving you 24hours of continues playtime wirelessly these will keep you gaming and less time worrying what battery life you’re on. 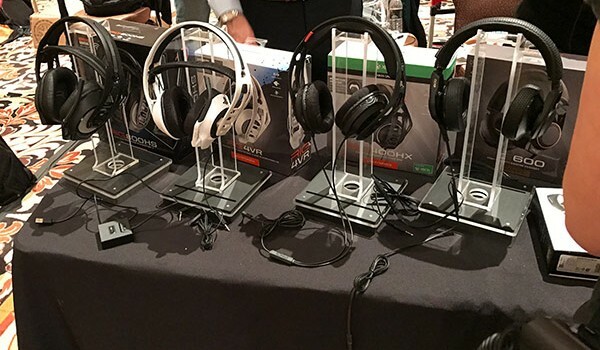 Plantronics also mentioned that the Xbox One flavor of these headphones will be coming out soon! 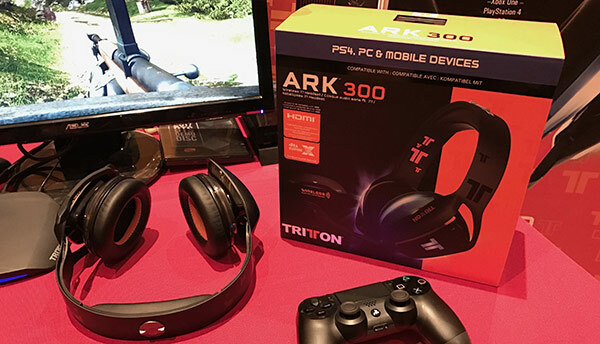 Mad Catz / Tritton displayed their upcoming flagship gaming headphones the Tritton ARK 300 Wireless 7.1 Headset. This has DTS:X equipped, great separation of and will be released in an Xbox One version and PS4 version later this year. HyperX entered the market not to long ago and they are a serious competitor at the gaming space. 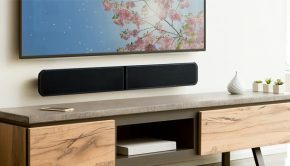 Their hit the Cloud Revolver is now getting a refresh with their Cloud Revolver S. The Revolver S offers plug-and-play Dolby 7.1 Surround Sound with a new USB dongle delivering immersice audio with a push of a button.